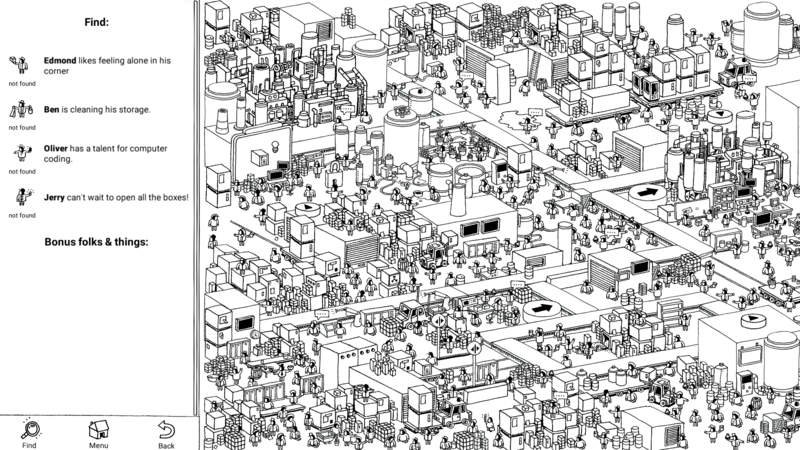 Hidden Folks is an interactive wimmelbilderbuch video game in which players are tasked with locating hidden characters, objects, and animals in a series of environments. 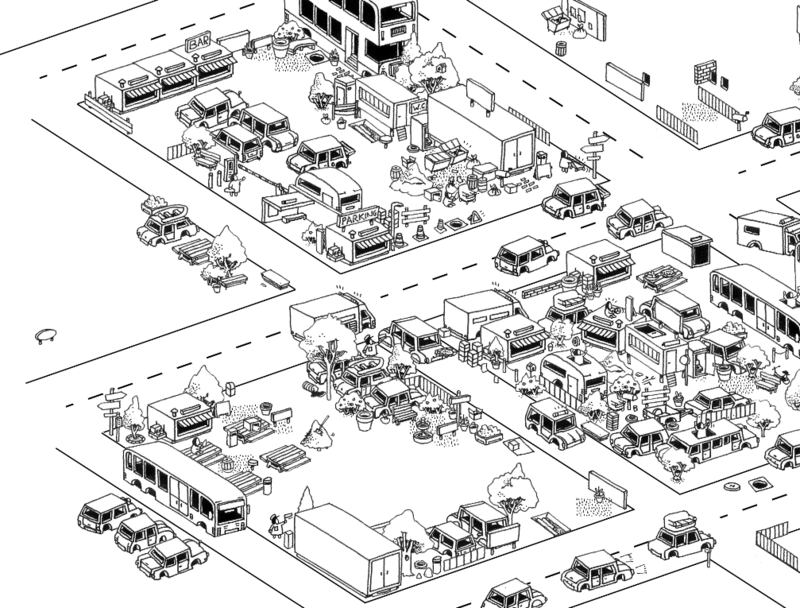 Everything in Hidden Folks is draw by hand, scanned in, placed, layered manually, animated, and scripted. All sounds in the game are mouth-made sounds, made (or rather ‘yelled out’) by the developers. 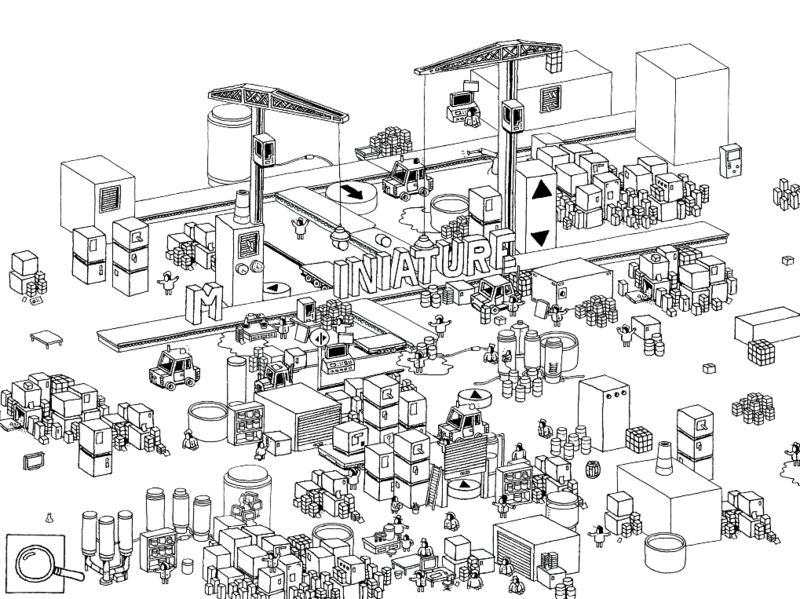 There are no time limits, no points, just miniature areas with a bunch of folks and objects to be found. 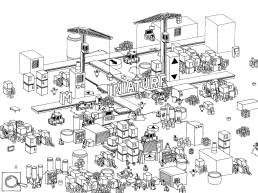 A prototype of the game was created by Adriaan de Jongh after he saw detailed illustrations at Sylvain Tegroeg’s graduate art show, and the two began collaborating in 2014 after Adriaan showed Sylvain the prototype using the illustrations from Sylvain’s website. 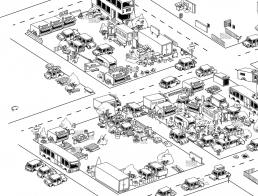 The idea of creating a hidden object game came naturally from Sylvain’s detailed art. 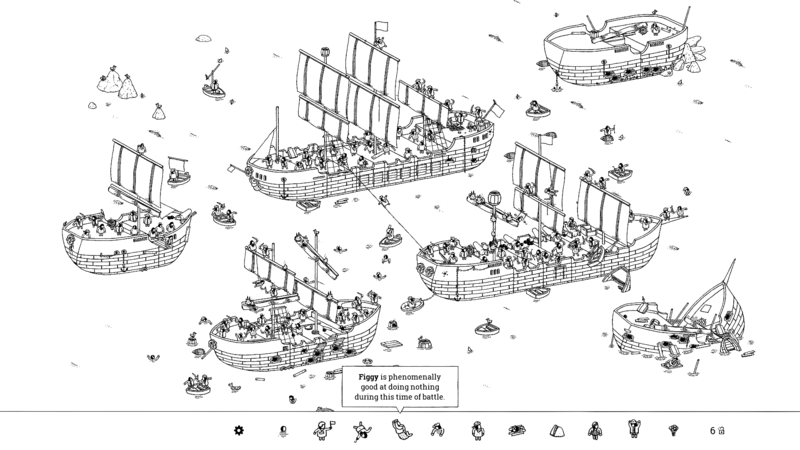 The game was built using the Unity game engine, but Adriaan also built custom tools to specifically handle the process of digitising the hand-drawn art and the amount of illustrations and objects in the game. 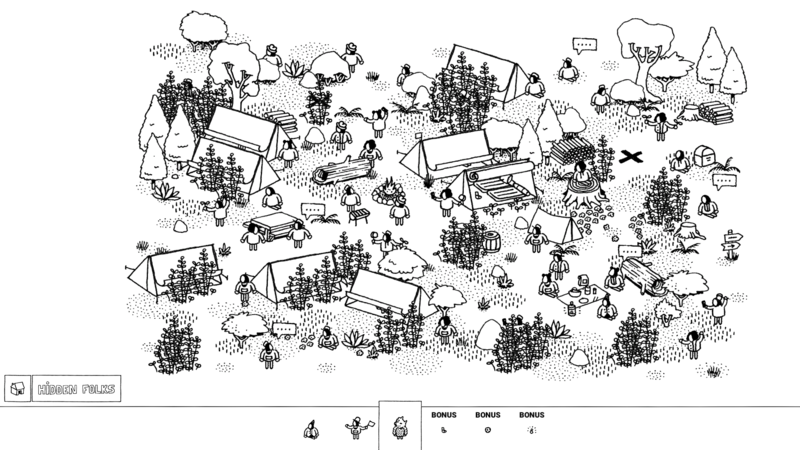 After completely new versions of the game for GDC, PAX East, and Gamescom in 2016, they went into full production to make Hidden Folks v1.0, which was released in February 2017. The game initially featured around 15 areas, Adriaan and Sylvain added new themed areas to the game in 2017 and 2018. 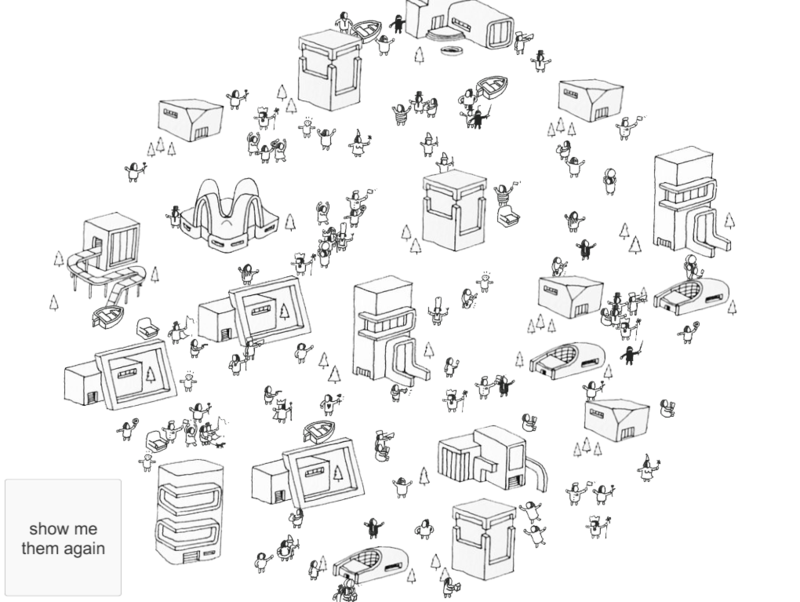 This timeline is an oversimplification of the development process of Hidden Folks at most. Please also read the DevLog from Adriaan on Steam for much more precise information. 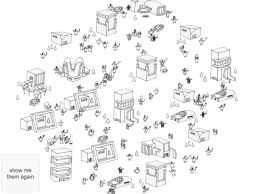 A conversation with Adriaan de Jongh about his latest game Hidden Folks, how it’s different from hidden object games, the art and science of hiding things, and why the game is not free to play.